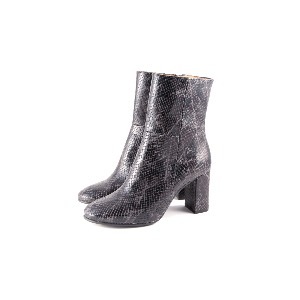 This boot represents great style and value. Perfect for smart work wear as we guarantee all day comfort from this heel. The snakeskin printed leather gives a depth of colour and texture and it works really well with 7/8 jeans as well as dresses.